We're there for you when you need us. Marshfield Insurance is less a company and more a family of people who are here to help make my life safer, easier and a higher quality. When you can be served by family vs. faceless America, why wouldn't you go to M.I. and see the Arnoldys. Thanks, Nick & Ryan. Home, auto, business, health, life and specialty insurance. Our award-winning company wants to serve you! We love and serve our community! We are a proud supporter of local businesses and our community! Have a question about insurance?... We are available! Would you like a call to learn more about the services we provide? Leave us a note here! Accident Fund Insurance Company of America has provided workers' compensation insurance coverage since 1912. Founded in 1925, Acuity is an award-winning personal and business insurance provider. Explore customized coverage options and get a quote today! Motorcycle, boat, RV, ATV; Whatever your preferred method of recreational riding, we've got you covered. The Allstate Corporation is one of the largest insurance providers in the United States and one of the largest that is publicly held. The company also has personal lines insurance operations in Canada. AmTrust Financial Services, Inc., is a New York City-based multinational property and casualty insurance company. To learn more about how we’re the heart of your insurance protection, contact your local agent today. 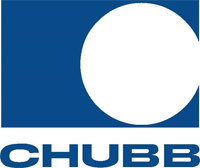 Chubb Limited, incorporated in Zurich, Switzerland, is the parent company of Chubb, a global provider of insurance products covering property and casualty, accident and health, reinsurance, and life insurance. We believe that locally based agents have the relationships in their communities that lead to satisfied, loyal policyholders. We complement the service you receive from your local agent by employing local field representatives who are supported by associates at our headquarters in Fairfield, Ohio. These empowered field representatives take action to respond to agents and policyholders quickly and personally. CNA Financial Corporation is a financial corporation based in Chicago, Illinois, United States. Its principal subsidiary, Continental Casualty Company, was founded in 1897. CNA, the current parent company, was incorporated in 1967. CNA is the eighth largest commercial insurer in the United States. From exotic cars to still-rolling antiques, we're dedicated to keeping your car or motorcycle covered. A trusted insurance carrier since 1886, Continental Western Group (CWG) offers a broad array of commercial insurance products for businesses in 13 states from the Rocky Mountains to the Great Lakes. Our goal is to be the strong, local and trusted choice for independent insurance agents and customers. EMC Insurance Companies is in the top 50 property/casualty organizations in the United States and is one of the largest in Iowa, based on net written premium. For over a century, we’ve been providing America’s small businesses with cost-effective workers’ compensation insurance. With our emphasis on financial stability and fast, efficient claims service, we now serve clients in 44 states and the District of Columbia. EMPLOYERS remains focused on keeping America’s Main Street businesses not only working but working safely. As a specialty insurance company, we serve our markets by providing insurance choices that may not be offered by other companies. FirstComp Insurance Company has specialized in small business workers comp coverage since its inception. They specialize in writing grey and blue-collar companies and are actively quoting in 36 states. They recently expanded their coverage options to include Business Owners Policies and offer highly competitive rates for target industries. Firstcomp was named the most profitable commercial lines insurance company by National Underwriters in 2007. Frankenmuth Insurance has been providing high-quality insurance products and unparalleled service since 1868. We’re represented by more than 500 independent insurance agencies in 15 states—selling personal, commercial and life insurance, neighbor to neighbor. Hagerty Insurance Agency styled just Hagerty, is an insurance company specializing in classic car insurance based in Traverse City, Michigan, in the United States. The company is the leading insurance agency for collector vehicles in the world and host to the largest network of collector car owners. 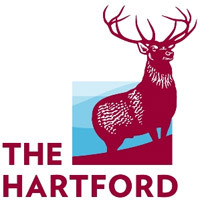 The Hartford Financial Services Group, Inc., usually known as The Hartford, is a United States-based investment and insurance company. ICW Group is recognized nationally as an industry leader in helping policyholders achieve fewer and less costly claims, and is committed to meeting the needs of its policyholders and elevating the trusted agents and brokers who advise them. Kemper Insurance is one of the nation's leading insurance companies, offering personalized auto insurance policies for individuals, families, and businesses. Kemper offers Commercial and Personal Auto insurance with Claims Service that is rated among the best in the Auto Insurance industry. Liberty Mutual Auto, home, condo and renters insurance. MetLife, Inc. is the holding corporation for the Metropolitan Life Insurance Company, better known as MetLife, and its affiliates. MetLife is among the largest global providers of insurance, annuities, and employee benefit programs, with 90 million customers in over 60 countries. Today, as one of the oldest and strongest mutual insurance companies in Wisconsin — our experienced and dedicated network of independent agents now serves policyholders throughout Wisconsin. Philadelphia Insurance Companies Commercial Lines, management and Professional Liability, Surety Bonds, Personal Lines, and Flood coverage. The Progressive Corporation is one of the largest providers of car insurance in the United States. The company also insures motorcycles, boats, RVs and commercial vehicles, and provides home insurance through select companies. Progressive has expanded internationally as well, offering car insurance in Australia. 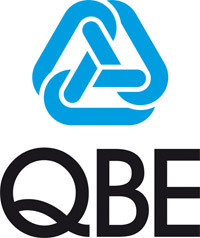 QBE Insurance Group Limited is Australia's largest global insurer. It provides insurance services mainly to Australia, America, Europe and Asia Pacific region. QBE has 14,226 employees in 37 countries worldwide. As of Aug 2012, QBE was ranked among the world's top general insurers. SeaBright Insurance has over 25 years' experience with workers' compensation insurance. We're experts at developing products and services for a range of industries - from small energy and maritime to high hazard business with the potential for severe injury. SECURA Insurance is a mutual insurance company in the United States that offers property and casualty insurance through independent insurance agents in 12 states. The company focuses on insurance for businesses, homes, and autos, farms, non-profit organizations, and special events. Security Health Plan Health Insurance for individuals, families, businesses and state employees. Seneca, Sigel Mutual Insurance Co has been serving the area since 1891. We strive to provide the best possible coverage based on each individual risk, at a fair price. We pride ourselves in maintaining an ongoing inspection program as well as providing fast, fair and courteous service to our insureds. Society Insurance is a business insurance carrier headquartered in Fond du Lac, Wisconsin. Society has operated as a mutual company since 1915 and has experienced significant growth in the last 10 years, increasing the policyholders' surplus from roughly $50 million in 2002 to $93 million in 2011. Throughout our nearly 100-year history, we’ve developed a well-respected heritage and built a strong foundation. We’ve always celebrated a culture of people who care. Who deliver exceptional service. The Travelers Companies, Inc. is an American insurance company. It is the second largest writer of U.S. commercial property casualty insurance and the third largest writer of U.S. personal insurance through independent agents. Because workers’ compensation is the sole focus of our underwriters, they understand the complexity and importance of keeping your employees safe on the job. This knowledge paired with our flexibility allows us to use our expertise to design an insurance program tailored to your needs. UnitedHealth Group Inc. is an American for-profit managed health care company based in Minnetonka, Minnesota. As of 2018, it is ranked #5 on the Fortune 500 rankings of the largest United States corporations by total revenue. UnitedHealth Group offers health care products and insurance services. An automobile insurance company focused on independent agents writing nonstandard drivers. West Bend provides a silver lining. The worst brings out our best. Wilson Mutual combines a tradition of over 144 years with modern expertise to provide unmatched service to its policyholders.